When big hospitals aim to get even more giant, they do so at risk of the quality of care they offer to their patients — and they can do much damage to their brand and hard-to-repair reputations. That may be a reality that elite Johns Hopkins may be discovering. Nearly one in 10 [of its] patients died last year. The mortality rate, suddenly the highest in Florida, had tripled since 2015. Other children suffered life-changing injuries. Jean Kariel Viera Maldonado had a heart transplant at All Children’s in March 2017. Soon after, the stitching connecting the 5-year-old’s new heart to his body broke, and he had a massive stroke. Today, he can no longer walk, speak or feed himself. His parents care for him full time. [S]urgeons made serious mistakes, and their procedures went wrong in unusual ways. They lost needles in at least two infants’ chests. Sutures burst. Infections mounted. Patches designed to cover holes in tiny hearts failed. Johns Hopkins’ handpicked administrators disregarded safety concerns the program’s staff had raised as early as 2015. It wasn’t until early 2017 that All Children’s stopped performing the most complex procedures. And it wasn’t until late that year that it pulled one of its main surgeons from the operating room. Even after the hospital stopped the most complex procedures, children continued to suffer. A doctor told Cash Beni-King’s parents his operation would be easy. His mother and father imagined him growing up, playing football. Instead multiple surgeries failed, and he died. In just a year and a half, at least 11 patients died after operations by the hospital’s two principal heart surgeons. The 2017 death rate was the highest any Florida pediatric heart program had seen in the last decade. Parents were kept in the dark about the institute’s troubles, including some that affected their children’s care. Leslie Lugo’s family didn’t know their daughter caught pneumonia in the hospital until they read her autopsy report. The parents of another child didn’t learn a surgical needle was left inside their baby until after she was sent home. 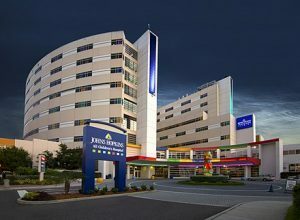 A key factor in the pediatric heart surgery program’s problems, the newspaper says, turned on the Johns Hopkins folks favoring surgeons and other staff of their own, casting out proven locals and area specialists, and ignoring repeated warnings about dangerous care from nurses, physician assistants, and even administrators. Growing programs like the Heart Institute had been central to Johns Hopkins’ strategy from the beginning. In 2012, Johns Hopkins rolled out an ambitious plan to create new revenue sources that would ultimately double its profit, adding between $150 million and $200 million over the next few years. A portion of the money was expected to come from expanding ‘high-demand, high-revenue’ specialty centers, company newsletters show. The All Children’s Heart Institute fit the bill. Heart surgery patients represent less than 3 percent of All Children’s admissions. But in recent years, they have been responsible for between 13 percent and 17 percent of the hospital’s total billing, the Times analysis shows. Heart patient billing peaked at $142 million in 2014. The year that eight children died, the unit’s patients were billed $83 million — 10 percent of the hospital’s total. The hospital billed another $28.5 million for 31 admissions to the Heart Institute in the first quarter this year, the latest data available. How much of that the hospital received is unclear. Private insurers and federal programs like Medicaid and Medicare negotiate or set their own reimbursement rates, typically below full value. The final payments aren’t tracked in the state admissions data. As children kept needing reparative, follow-up procedures after undergoing heart surgeries in All Children’s, and even after flying in its own surgical specialist from Baltimore for a time, Johns Hopkins chiefs dragged their feet still. Until babies kept dying, and families and staff wept in hospital halls. Finally, the hospital began sending more and more cases to the several solid hospitals in the area that could handle child heart cases. Problems continued with the less severe matters All Children’s still sought to treat. The hospital says it has halted pediatric heart surgery and the program is under scrutiny. In my practice, I see the harms that patients suffer when they seek medical services, and their struggles to access and afford safe, efficient, and excellent medical care. As they confront increasingly complex choices and uncertainty in their medical treatment, patients may deal with their daunting decisions by turning to familiar names and relying on care-giving reputations built over decades. Where do patients fit in these emerging mega-chain health care operations? When remote decision-makers don’t have to face questions about the quality of the care their hospitals offer — from high school classmates, work colleagues of uncles, aunts, and cousins, or angry politicians who know exactly which corporate bigs and buttons to push — they may become distant and cold about their most important customers — sick and injured patients. Johns Hopkins long has been legend in medicine, including for the teaching it excelled in. So, exactly what lessons should we take from the troubles it has created for kids and parents and its own people in Tampa? They don’t seem so pretty, even nearby.